Polarion offers full support for third generation Test Automation software that deploy xUnit or jUnit testing frameworks. Following the instructions below allows you to incorporate Polarion QA with automated test execution controlled by a CI tool (e.g. Jenkins) and executed by Ranorex, Froglogic to name a few. Afterwards the test results will be provided for management in Polarion QA. This seamless integration allows traceability from beginning to end – i.e. from setting the requirements to all assigned test cases, including their automated test results and reports. Why unify your Test Automation with Polarion QA™? Test Automation frameworks do not assist in the creation of test planning and documentation, therefore require the investment in either manual hours to create the information or you can take advantage of Polarion QA's test manage features. Features such as Live Docs functionality for easy authoring and linking to related requirements and test cases. Empower your GUI test automation by unifying testing results with Polarion QA. By integrating your test automation framework with Polarion QA, your automated test cases are easily synched with related requirements, test cases and source control files for complete traceability. Once test case data is created for test automation it can be re-used in every test case that requires similar functionality. Manage all your automated testing and manual testing activities in the same environment. Reduce testing time with less maintenance and increased productivity. Test Automation errors and queries are tracked and logged throughout the test execution lifecycle in one central location. Polarion QA provides an automated solution with no need to write the same tests multiple times, and no need to remember what should be the result of each test. Polarion Automation infrastructure comes with the following features to facilitate integration with xUnit. Automated test scripts managed in Polarion QA can either be executed on the local machine or scheduled for execution on a series of remote hosts. The result is that Test Automation can be easily launched from our Test Management platform with results easily captured and synchronized with Polarion QA Test Cases. The Polarion API offers a rich platform for developing intelligent plug-ins. 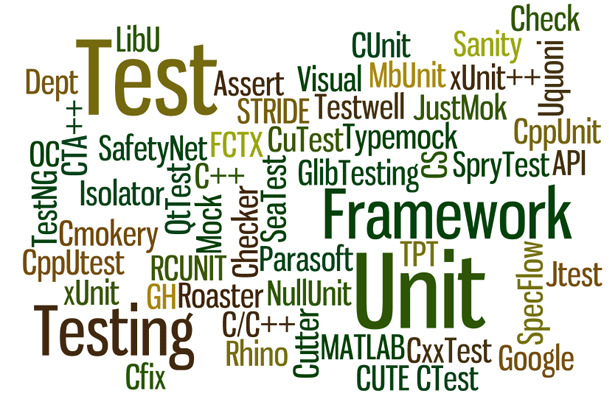 These plug-ins can provide support for additional unit testing frameworks. For a comprehensive list of existing xUnit integrations visit our Extensions site under Test Automation.